Have you ever wondered what happened to the proposal document you sent to your colleagues last week? Or what happened to that document you sent to your client answering their questions? Do you wish there was a platform that could help you track the documents you send? You’ve come to the right ‘page.’ Let’s explore some of the best document tracking software out there and how they can help you create better documents! If you are using the internet to run or grow your business, you’re familiar with the importance of data in making intelligent decisions. Having tons of useful data about your customers, prospects, clients, investors, and even competitors gives you the ability to change what’s not working and understand what is. To get effective consumer insights, most companies today track every little detail about their business from websites, blogs, social media posts, email, video, etc. But have you ever wondered what happened to that project proposal you sent to your manager last week? 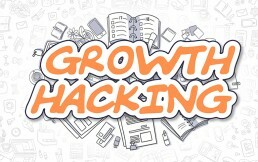 Or how many people downloaded and read your marketing case study? Technology and the internet have advanced a lot over the years and have provided us with many smart tools to measure our business’s online effectiveness from web traffic, social media posts and more. Shockingly enough, there aren’t many tools out there which have the ability to track our workplace documents. Why are documents left out in the cold? The majority of our work consists of creating and sharing documents and it’s a surprise that we don’t use tools regularly to measure the engagement levels on documents we share! 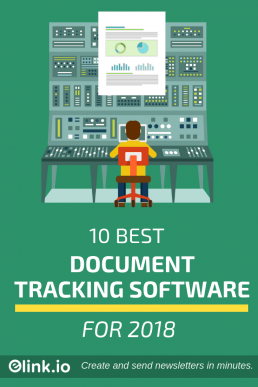 We’ve put together a resource guide for you of the 10 best document tracking tools. Each tool has its own approach to track documents and provide critical insights. So without further ado, let’s dive in the list of the top document tracking tool on the market today and help you find the best tool for you and your team! 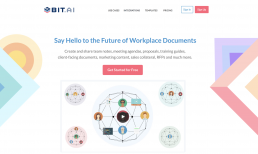 Unlike other tools, which ask you to convert your document into a PDF and then share a link via a third-party tracking service, Bit allows you to share your documents right from the get-go. No need to convert it into a PDF or any other file type. No need to share a unique link via a third-party. Simply share your document as it is and get detailed, actionable insights! Additional features include password protection, document expiration, real-time alerts, engagement insights dashboard and much more! PandaDoc is a proposal management software that help you create stunning, custom-made, personalized proposals in minutes. It is among the few platforms that have a professional level tracking system built in to provide you with real-time proposal analytics that empowers your sales and management teams. You can see who’s viewed each proposal, how many times they saw a proposal and how much time they spent viewing each page of a proposal. Real-time email notification is triggered every time someone opens a proposal document! PandaDoc is a web-based proposal software, which means you can create, send, and sign proposals as long as you’re online. Along with the basics, some interesting features such as in-app payment gateways are also supported. MailTag is a powerful tool that helps users to track their emails. The one downside about MailTag is that it supports only Gmail and G-Suite for now. However, they do plan to integrate MailTag with MS Outlook in the near future. MailTag gives users real-time email tracking abilities. 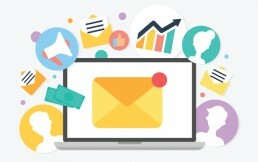 These include desktop notifications when an email is opened and when an attached link is accessed, real-time performance of email open rates, link clicks, and other rates and email-scheduling. Email-scheduling helps in maximum interaction and helps avoid time zone problem. Lastly, MailTag’s Ping feature allows users to automate their email follow up the process, leaving them with spare time to do other important work! trusted by 13000+ professionals worldwide, MailTag offers a 14 day trial period to get used to its awesomeness and start tracking your emails! Fileboard is another platform that has a well-built document tracking system. Fileboard is primarily pitched as a sales engagement platform. Each Fileboard feature can serve the needs of a specific role in your sales team; It has some amazing features for Sales Development Reps like email tracking, dialer, and account-based workflows. Account Executives can conduct online meetings. Sales Management can conduct accurate forecasting based on real sales activity in their CRM. One unique feature about Fileboard is the ability to make calls over the internet directly through the platform. It is well integrated with Gmail, MS Outlook and also Salesforce, which make one of the best options in the market. Engagement stats are provided in a very clear and efficient way. Additional features include page by page analytics, the ability to send trackable files through Gmail and Outlook, and real-time notification for email attachments. 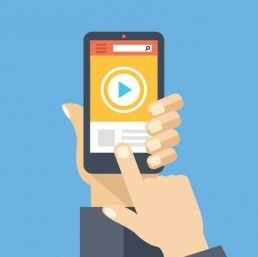 Another notable feature is video emails, which users with turning boring emails into a media-rich sales pitch. With clients like Oracle, Reddit, NBC, and Salesforce, Fileboard is a great end-to-end sales engagement and document tracking platform. Tilkee is a product that aims to increase sales by efficiently and effectively tracking business proposals and boosting prospect follow-ups. It allows discovering qualified leads and suggests when to follow up with them for increased sales. 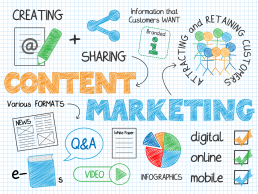 Tilkee helps to understand how the market interacts with your content and helps in creating and ensuring use of best-in-class content. Its management features allow building robust processes through deeper analysis of team performance and help the sales and marketing teams re-connect. A unique link of each prospect is generated by uploading documents on the app, providing an interface for more efficient proposal tracking. The real-time alerts and tips ensure that you receive a notification as soon as a prospect reads your content, while other information including total time spent on reading, time spent on each page, document read, etc. is also recorded. With the ability to integrate with everyday office tools like Slack, Outlook, Gmail etc, you won’t be disappointed with Tilkee as your tracking tool. Livehive is another software geared towards sales engagement that has document tracking functions. Livehive intelligently organizes your document and emails, giving users a bird’s eye view of how each and every prospect reacts to their documents and emails. Livehive combines document and email tracking into one single platform. It effectively employs machine learning to create a deep analysis for users to work on. Livehive also has pipeline tracking, allowing users to track sales pitches as they move through the sales process. This help in tracking and tackling any problems encountered in any step. Apart from document tracking, LiveHive has a ton of features like contact management, call monitoring, call transcription, screen sharing, account scoring, sales coaching, CRM integrations and much more. All these features combined make Livehive a great document tracking software, especially if you need one for your sales department. DocSend is a platform designed for marketers and salespeople to help them close more deals quickly. A content management platform at heart, DocSend accumulates all your sales collateral in one place, which makes it easy to find, track, and update the documents that drive the sales process forward. However, apart from tracking abilities, DocSend has some neat tricks up its sleeves. One of them is synced documents, which removes the hassles of updating same documents being sent to different people. DocSend also keeps a log of document interaction and page-by-page analytics and provides a graphical view of document analysis. These features help provides a broad understanding of content ROI and gives users a clear understanding of their documents. All-in-all, DocSend is a pretty good document tracking tool, especially if you are in sales and marketing. SalesHandy offers tools for email tracking where users receive notification when sent emails are opened. Apart from the slew of these basic features which an email tracking tool must have, there are a few unique features as well- users can export email analytics data in CSV format and can get email data for an individual or a team in the application dashboard. SalesHandy stands apart from the crowd with their reminder notification feature which sends a reminder to the recipient if a document is not opened within a certain time frame. SalesHandy can also ask for information from those trying to access a document. This help user sees who is accessing a document and from where. Apart from email tracking, SalesHandy also offers email scheduling, ready-made email templates, the ability to set up email campaigns, and auto followups to save you time and effort. SalesHandy easily integrates with all major email clients like Gmail, Outlook, Office365 and more. Docsify is a Google Chrome extension for tracking emails and documents. For email tracking, Docsify has basic functionalities such as email notification and analytics. Users can view analytics information and other information about the customer like their devices and Operating System directly from their Gmail account. Docsify offers email scheduling to allow you craft now and send it later, making communication between time zones, a lot easier. One-Click Templates allow users to write emails without manual and annoying copying and pasting. You can then improve your email messages with templates statistics. You can even add any live chat directly to documents you send which helps you deal with questions and objections while recipients are viewing your content. Docsify also offers some distinctive functions like branded URL prefix for attachment which makes the link a lot more professional. HelpRange allows users to share, and track pdf easily. HelpRange creates two links to every document uploaded. 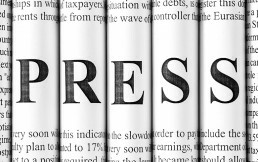 A public link is to the public and can be used to share the document. A private link is generated which directs the users to the analytics page. HelpRange provides users with all kinds of info such where the traffic is coming from, browser and OS information, time and date of opening the document and time spent on the document. Users are treated with a very detailed graph about the time spent on each page to help them understand how their work is being received. Users are also provided with important data points like view count and total view time of each document. HelpRange also allows users to update their documents after sending them- users can revoke access to your document at any time, set a password and an expiration date, or block the ability to download and print. If you send out a lot of PDFs, HelpRange is a good place to start tracking them. All the tools discussed in this list have something unique to offer. But platforms like Bit, which combines all the features into one single platform can help you save time jumping from one tool to another. Furthermore, Bit is one of the most powerful tools and yet has a very minimalistic user interface, making it perfect for first-time users and nontechnical folks. We hope you are able to find your favorite document tracking software and track your files like a boss!